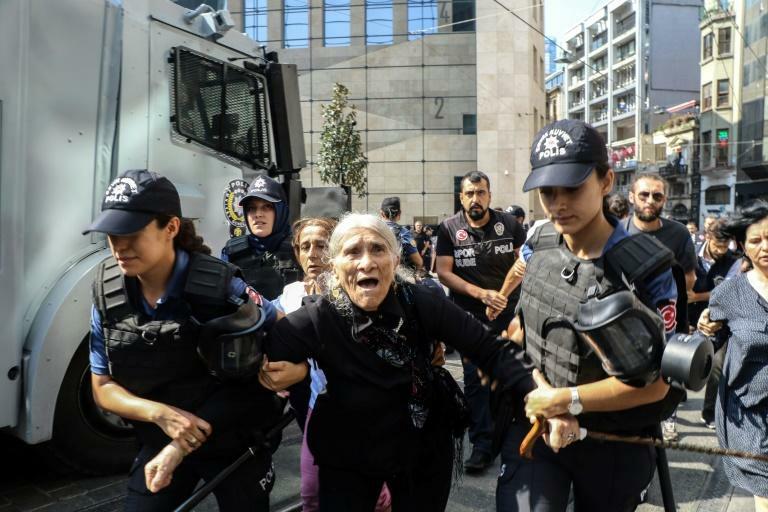 Istanbul police on Saturday broke up a regular demonstration by Turkish mothers remembering the disappearance of relatives in the 1980s and 1990s, detaining over 20 people as participants marked the 700th such weekly protest. The mothers, known as the Saturday Mothers (Cumatesi Anneleri in Turkish), have met on Saturdays since May 27, 1995 in the heart of Istanbul, remembering relatives who disappeared allegedly at the hands of the state in one of modern Turkey's most turbulent periods. Police used water cannon and fired tear gas canisters to disperse the protest, an AFP photographer said. 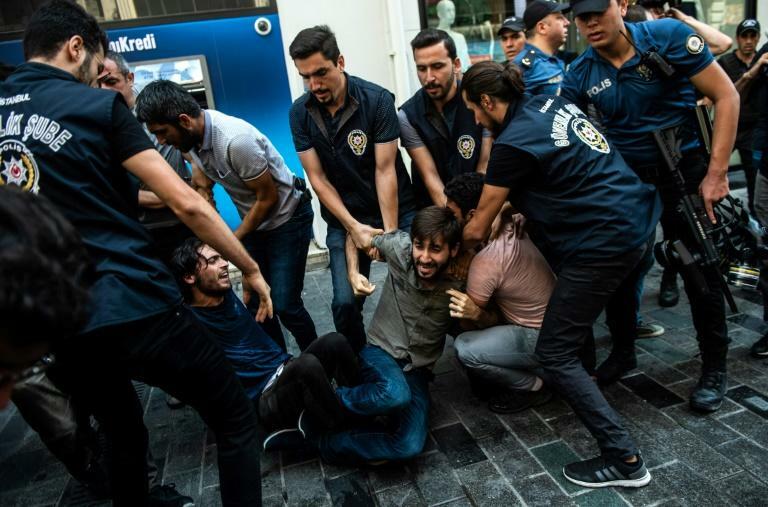 Turkish media reports said that at least 23 people were detained, with protesters seen grabbed by the police and roughly taken away into waiting vans. Among those detained was veteran Saturday Mothers protest leader Emine Ocak, who reports said is aged 82. The crackdown by the police followed an announcement by the authorities of the central Beyoglu district where the rally is held that Saturday's demonstration would be banned. It said that calls for the rally to take place had been made on social media accounts linked to the outlawed Kurdistan Workers Party (PKK) and no application for permission to hold it had been made. The forceful dispersion of the rally comes two months after President Recep Tayyip Erdogan won a new mandate with enhanced powers which activists fear will be used to squeeze freedom of expression in Turkey.